Below are FREQUENTLY ASKED TAPE HAIR EXTENSIONS QUESTIONS as it pertains to Tape-Ins from Euro Collection Hair. TAPE HAIR EXTENSIONS is probably one of the first tape hair extensions questions asked. These are the newest trends on the market, which are thin tape wefts that are about one-inch wide. These pre-taped hair wefts are taped-in between your hair with sandwich-like bonds. It’s one of the most requested hair extensions worldwide! Using tape-in extensions is 100% natural and does not need any chemicals or tools to apply. The application process only takes about an hour for all your hair and does ZERO damage. Another plus is that they would also last for up to three months if properly done and can be used again. WHAT IS THE QUALITY OF EURO COLLECTION'S TAPE-IN HAIR EXTENSIONS? We are proud to say that Euro Collection Hair sells only the highest quality of hair extensions. We commit to providing excellent hair according to equally high-quality standards. 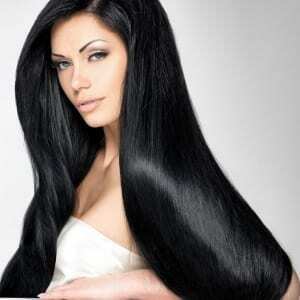 The hair used for extensions must be a natural human hair from healthy women, without any damage. Once the hair has been collected, it will go through a 12-step process to create the perfect hair extensions to use. 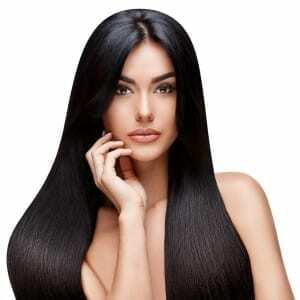 Our hair extensions go through an elaborate process to guarantee quality. 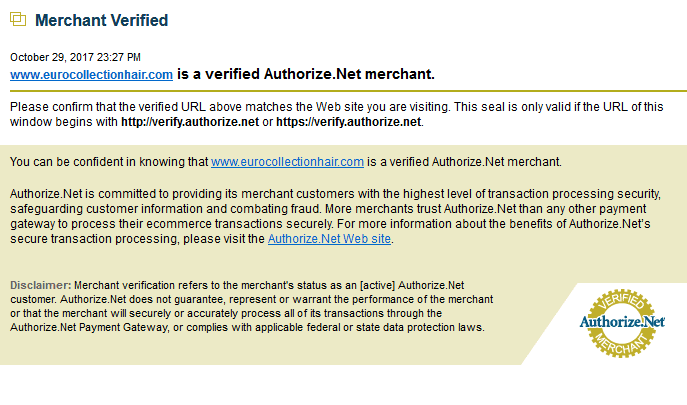 Euro Collection only sells the best hair and products. ARE YOUR TAPE-IN HAIR EXTENSIONS MADE OF REAL HUMAN HAIR? Yes, our tape-in hair extensions are made from 100% Pure Cuticle Intact Remy human hair. This means that you can style with hair extensions just as you would style your natural hair! Our Cuticle Virgin Hair is one of the highest quality human hair available on the market. The hair comes from a ponytail donor and will undergo a unique and brand-new manufacturing technology which allows the hair to last for long. Because the hair we collect only comes from one single ponytail donor and goes through a lengthy process, the hair will remain in its virgin state, lasting for years for some customers. WHAT MAKES EURO COLLECTION HAIR DIFFERENT FROM OTHER TAPE-IN HAIR BRANDS? The main difference between Euro Collection hair and others is that we offer nothing but the best hair per pack than all other companies. We also take pride that we have high-quality hair compared to popular lines, even testing them ourselves to ensure that we have the best. Another huge plus is that we have more options to choose from, with you being able to find the most natural colors to match yours. Our company takes pride in focusing that you live a beautiful life, looking great and being satisfied with your hair! Because yes, having good hair makes a huge difference, which is why we aim to have all women who purchase hair extensions from us to fall in love with their hair. We are THAT hands-on and passionate about beauty. DOES IT HURT TO GET TAPE-IN HAIR EXTENSIONS? This is another one of the many tape hair extensions questions people worry about! When getting hair extensions, it wouldn’t bother a lot of people unless they have sensitive scalps. Your stylists will be able to cover the whole process of installing and maintenance during the first consultation. That way, you won’t experience a ton of discomfort you may experience upon application. WILL APPLYING TAPE-IN EXTENSIONS DAMAGE MY NATURAL HAIR? When the hair extensions are installed and maintained correctly, then you won’t need to worry about damaging your hair. Like mentioned, these hair extensions are 100% natural and do not need any chemicals or tools used to apply it. If you’re looking for a reputable stylist to apply for the tape-in hair extensions, then check out one of our Certified Stylists to ensure the best application. We recommend that you work with a trained professional who is experienced with the tape-in application to avoid any damage that may ensue. I HAVE FINE OR THIN HAIR, CAN I STILL WEAR TAPE-IN EXTENSIONS? This is one of our frequent tape hair extensions questions that we get from our clients. For those who have thin or fine hair, there’s no need to worry. Tape-in extensions are an excellent choice. Using clip-in hair extensions are too bulky and because of the weight, may cause balding in the long term for those with very fine hair. When using tape-ins, however, your hair is protected from any form of breakage or tape hair extensions damage. For those with thin or fine hair, then your stylist should use a single-sided tape-in method when applying for the extensions. This method is done by applying a one-tape bond and one piece of single-sided tape. This forms one bond instead of applying the two tape wefts together. That way, there is less weight on your hair, and there will be less risk of damage. And for those wondering “does it hurt to get tape-in hair extensions?” it does NOT hurt, from installation to removal! WOULD YOU RECOMMEND TAPE-IN EXTENSIONS TO WOMEN EXPERIENCING HAIR LOSS? No, we would not recommend tape-in extensions for clients who are currently experiencing hair loss. But for clients who have experienced hair loss and are no longer losing it, then tape-in extensions are a great option to add volume and length. WHAT LOOKS CAN I ACHIEVE WITH TAPE-IN HAIR EXTENSIONS? With our Tape-in hair extensions, the possibilities are endless! If you want to have more ideas on what you can do with your hair and our extensions, then view our Before and After page to get an idea. There are many techniques to follow so you can add volume, length, or highlights! WHERE CAN I GET MY TAPE EXTENSIONS APPLIED? One of the popular tape hair extensions questions we receive is where to get them applied. Do visit our Salon Directory to see if there are salons near you to visit. If you can’t find a salon for you from our directory, then feel free to purchase your hair from our store and visit a reputable salon near you. How much do tape-in extensions cost? This will depend on the type and length you are getting, so feel free to check out our store! For salon owners who are interested in being part of our salon directory, then do sign up and get certified by us to begin earning client referrals. For those who would like to know “How long does it take to apply the tape-in hair extensions?” then do proceed to the next section. HOW LONG DOES IT TAKE TO APPLY THE TAPE-IN HAIR EXTENSIONS? Tape-in hair extensions would usually take less than an hour to apply. It’s that easy! We recommend that you find an experienced hair stylist to apply the extensions for a quick and painless procedure. CAN I WASH MY HAIR EVERYDAY AND BLOW DRY IT WITH TAPE-IN HAIR EXTENSIONS? Yes, you will be able to wash your hair and get blowouts. But we recommend a more gentle approach. It will not ruin the seamless extensions thanks to our strong and extremely durable tape that lasts for a long time. The tapes will continue to last so long as the scalp will not become too oily. CAN I GO SWIMMING WITH TAPE-IN HAIR EXTENSIONS? Our high-quality tape isn’t only durable but extremely strong. You will be able to swim, workout, go out of town, and you won’t need to worry about your extensions coming out! Just avoid oil and rinse out your hair immediately after swimming. HOW LONG DOES THE TAPE ADHESIVE STAY ON HAIR AND WHAT TYPE OF QUALITY DOES IT HAVE? Our tape is made of the highest quality, undergoing numerous tests to produce tapes and extensions that are comfortable, durable, and will not damage your natural hair. Our tape extensions are known for their ability to hold your hair extensions securely and neatly no matter what you do, may it be swimming working out, or showering. Our tape-in extensions have a lifespan that ranges from 6 to 24 months, depending on how you care and maintain them. With the correct application, tape-in hair extensions will stay attached to your hair for six to eight weeks before you’ll need to remove and refit them to stay close to your scalp. mens health. Refitting is done because your extensions will grow out with your natural hair and become visible. So if you want to know the exact answer to “How long do tape hair extensions last?” this will depend on how you use and maintain it. WHAT KIND OF SHAMPOO AND/OR CONDITIONER CAN I USE? Are you wondering “How long to wait to wash hair after tape-in extensions?” Then no worries because you can wash it right after the tape settles and sticks to your hair. We recommend that you use mild moisturizing shampoos and conditioners. Do avoid hair products that contain sulfate, dyes, or bonds to minims the risk of the tape from loosening. CAN I USE A CURLING IRON OR BLOW DRYERS ON MY EXTENSIONS? Besides using hair products or washing your hair, one of the commonly asked tape hair extensions questions is related to styling it with heat sources. Yes, you can! Our hair extensions can be styled however way you want, just like how you would with your natural hair with heating tools. But just like any human hair, too much heat will dry it out. We recommend that you minimize the tension as it won’t be good for your hair. This depends on how much hair you have, as well as how thick and how long you want your hair and the extensions to be. For those who have thin or medium hair, then two to three packs are what you need. For those with thick hair, you may need more. We will recommend consulting your stylist. WHAT ARE YOUR COLOR OPTIONS? We have a wide selection of natural colors which range from brilliant blonde and vibrant red to warm brown and deep black. You’ll be able to find the perfect color that blends well with your natural hair! Yes, you will be able to color the extensions, as they are made from 100% human hair. But do take note that you should only use semi or demi-permanent hair dye. Do not lift the color but just deposit it. To keep the hair healthy, color it darker but not lighter. WHICH COLOR SHOULD I GET? In general, we recommend that you match the color of hair extensions with the tip of your hair and not the roots! For an excellent color match, we advise that you purchase natural color samples because each computer monitor has different color variations. That’s why it’s best to have a complete match. Furthermore, we have our own unique colors so if you are a #613 with one company does not mean that it will be the same with us. HOW DO YOU APPLY TAPE-IN EXTENSIONS? CAN I DO IT MYSELF? 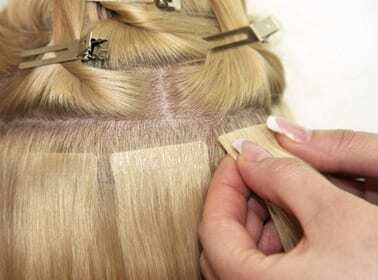 How to apply tape hair extensions questions is one of the frequently asked questions we receive. We recommend that you have your seamless extensions professionally done by a licensed cosmetologist. There are different methods to apply the hair extensions as a stylist, which is why it’s best not to do it yourself. Do feel free to recommend your stylist so they can get our discounted prices. CAN I REUSE THE TAPE-IN HAIR EXTENSIONS? Yes, you can! Our tape-in extensions can be reused again and again. But do take note that they’ll need to be refitted every eight weeks or so. All you need to do is to remove the extensions, clean off all the residue from the bonds, add a new tape tab, and reapply it. Every time you reapply the tape-in extensions, you’ll still have the same strength and quality like the first time you had it installed. How many times can you reuse tape extensions, though? If the hair doesn’t look or feel damaged, then you can continue to reuse it! HOW DO I REMOVE MY TAPE-IN EXTENSIONS AND WHAT DO I USE? And last but not the least for our tape hair extensions questions, the removal process! When removing tape-in extensions, you should do so with our specially-designed adhesive remover. This remover is a solvent made of ingredients that gently dissolve tape tabs for easy and effective removal. During the removal process, the sticky bond will be broken down. This allows the tape to slide off from your hair easily. It will be more comfortable and effortless to remove the tape tabs in less than half an hour, depending on how many pieces are attached to your hair. For an easier process, ensure that the hair is free of tangles and combed beforehand. You can watch video tutorials, which will demonstrate a step-by-step process on how to remove the tape. You can also contact our team for further assistance.